Our class teachers are Mrs Rowlands and Miss Turpin. They love working in Reception along with our Teaching Assistant Miss Fox. A couple of essential pieces of information...our PE day is Thursday and we change reading books on a Monday every week. Enjoy looking at our page and seeing what we are busy doing in our class. Here is the newsletter and information for our Reception class about what we will be learning this half term. 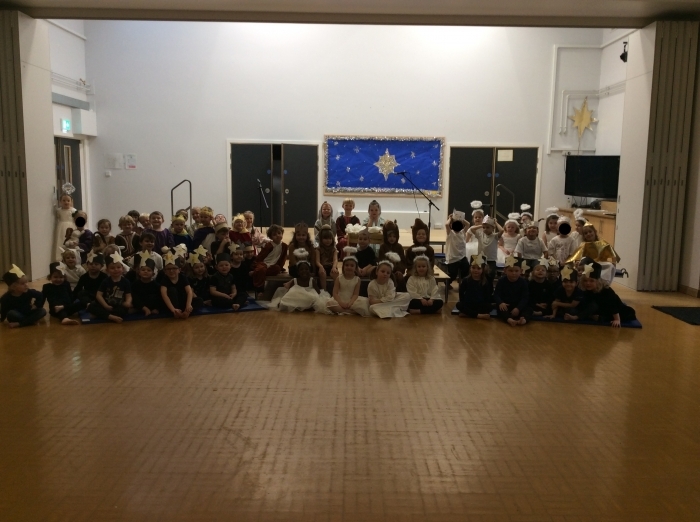 All the children in Reception worked with Nursery to do a show and performance of the Nativity story. They performed for the school and the parents and were all fantastic! 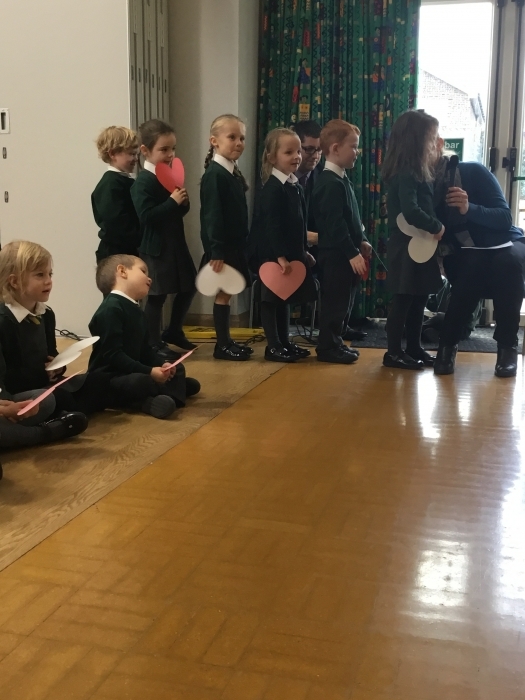 Reception class led their first liturgy for the school. 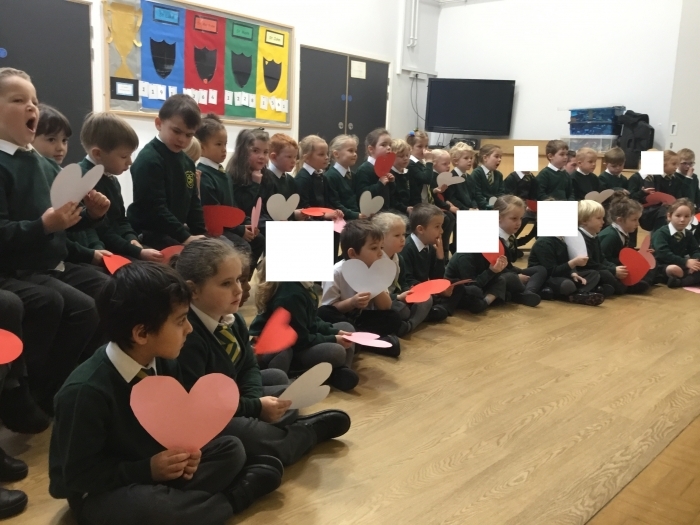 We helped the school and parents reflect on how Jesus taught us to love everyone. Here is the newsletter and information for Reception with upcoming half term. Here is the newsletter and information for Reception for our upcoming first half term.